Protect closets & roooms from unauthorized access. 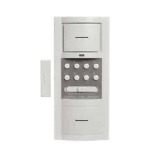 Easy way to install an alert that plays a loud alarm or chime sound when a door is opened. 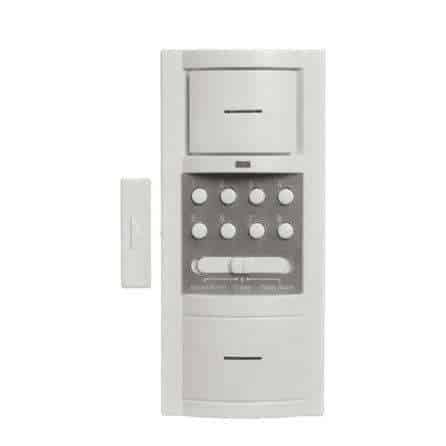 Programmable keypad allows you to arm/disarm the unit. The HS3217D by Carlon is great product! It is super easy to install and is great for just about any application where you want to monitor the opening of a door or window. Perfect for an apartment complex, or use on a supply closet door. Many of our customers use this on a patio door leading out to a pool to alert parents when a child opens the door. At our company, we use the HS4317D on a warehouse door that leads to our server room. The possibilities are endless! Most exit alarm type devices require wiring or an electrician to install. The HS4317D is simple to mount to the door frame with the supplied screws or double sided mounting tape. Merely align the arrows on the magnetic sensor contact and attach it to the door and viola! Now you will get a loud 105bD when that door is opened.